"We found that drought was the dominant weather variable correlated with the size of West Nile virus epidemics," said first author Sara Paull, who led the study as a post-doctoral researcher at UC Santa Cruz and is now at the National Center for Atmospheric Research. 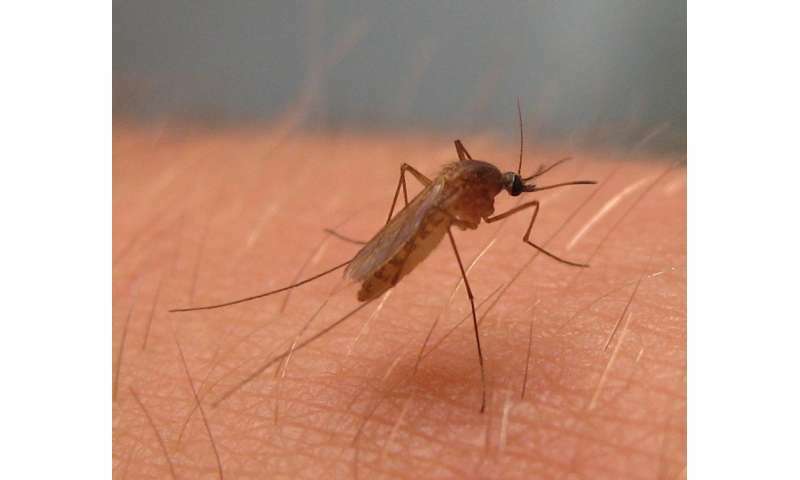 "We found strong evidence that in some regions the spread of West Nile virus was indeed wave-like, with large outbreaks followed by fewer cases," Paull said. "However, our analyses indicated that human immunity—not just bird immunity—played a large part in the decrease in human cases by reducing the number of people susceptible to the disease." "We thought epidemics would coincide with the most ideal temperatures for transmission," Kilpatrick said. "Instead, we found that the severity of drought was far more important nationally, and drought appeared to be a key driver in the majority of individual states as well." It's not yet clear how drought increases transmission of the virus, he said. Data from Colorado indicate that drought increases the fraction mosquitoes infected with West Nile virus, but not the abundance of mosquitoes. Drought might affect transmission between mosquitoes and birds by stressing birds or changing where they congregate.